Speech recognition technology isn’t just about recognizing what is being said. It’s about transferring that information into a usable format, such as a text format or an audio file that can be analyzed later. This has many applications, all of which can be used to improve that way you serve customers and the way your center does business. You may think that speech recognition technology is not something that makes sense for your center, whether because of the size of your operation or because ow hat kind of business you handle. However, many companies see within a short period of time after their initial exposure to the technology that it’s not only easy to use, but extremely adaptable to their needs – and beneficial to their center! A more seamless customer experience. While customer service is defined as the provision of service to your customer, customer experience is the overall journey a customer takes from their initial exposure to your product or service to their interaction with your contact center and beyond. 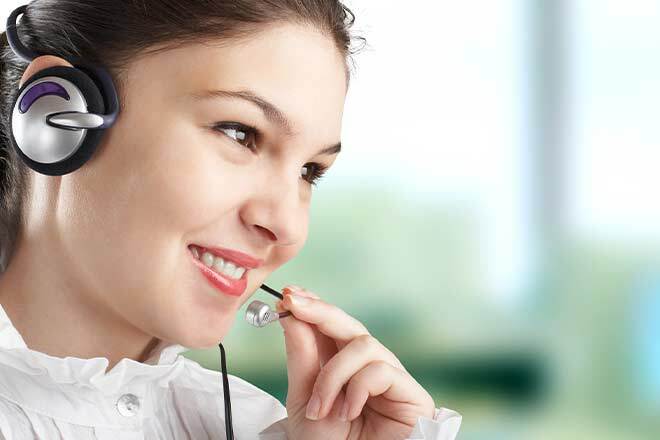 The use of call center speech recognition helps to make this journey a seamless one by collecting data for them in a more organic way and transferring that data to a useful text format that your agents can work with to meet their needs. Improved quality control. Analyzing the quality of calls coming into your center and how those calls are handled has never been easier than it will be with the use of speech recognition technology. Conversations can be examined in real time or afterward, as a whole or separated by channel, picked apart or played over and over until information is found that helps management determine what went wrong, what was perfect, and how improvements can be made. More personalized sales. If you are in the business of sales, your job will get easier when you deploy a speech recognition program in your contact center. These programs help your staff determine what products or services they can most easily upsell or cross-sell to consumers, boosting sales and customer satisfaction – all without detracting from customer service or your budget! So, just how can you benefit from employing call center speech recognition? For as many practical applications of this technology as there are, there are many times as many benefits of its use. Truly, the possibilities are nearly limitless. Freeing up agents from analyzation or data collection tasks to perform other, more important tasks. Higher customer satisfaction ratings, as consumers can enjoy both the benefits of self-service through voice recognition technology and those of having live agent chats, since even these conversations are typically very organic in nature. They feel as if they have spoken to a real person, without the awkward feeling of having to wait on a silent line to do so. More consumer-friendly menus, as voice recognition makes commands easier for the system to process. Compatibility with most types of phones or voice operating systems, meaning consumers calling from almost any device can easily operate and navigate your system. Faster, easier, more effective data processing. Disability-friendly for many users who may have difficulty navigating buttons on touchpads or traditional phones. Safer, more secure data processing, since fewer human beings are involved. While your agents may be some of the most trustworthy people in the world, every person who is privileged to another person’s sensitive information is one more source of suspicion if something should happen to compromise their security. Protect your consumers’ privacy by limiting human exposure to their information with voice recognition technology and let machines handle that job. Intuitive technology not only gathers information quickly and easily, but also organizes it for the agent so that nothing is lost or overlooked. In that sense, the voice recognition software takes over part of the agent’s job for them, further freeing them up to handle other important parts of customer service. Perhaps one of the biggest benefits of using voice recognition in any setting – whether it’s a call center or somewhere else – is that it speeds up the process of data collection or documentation in a way that is unparalleled. When you’re creating a document for a consumer or a staff member, using today’s voice-to-text technology makes it faster and easier than ever before. Simply speak your documents into existence, and they’re quickly and easily available. Now, that is something worth talking about! 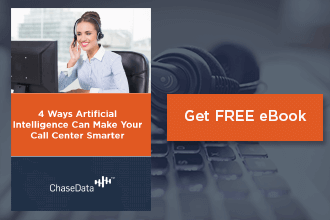 When you’re ready to put call center speech recognition technology to work at its full potential in your contact center, call the industry experts here at ChaseData. 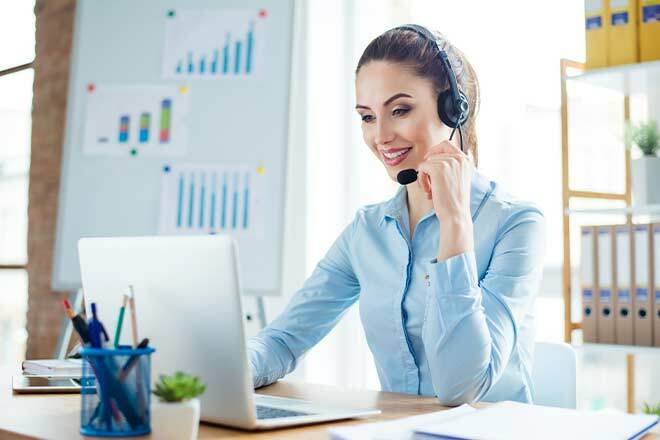 We have the experience, the knowledge, and the tools and technology you need to get started or get caught up with the day’s trends in call center speech recognition and other advanced methods of communicating with and understanding your consumers. We can help you take your customer service approach to the next level – and help you give your customers the kind of experiences they deserve.